When doing process work, attention is rightly drawn to the detail: the 43 steps in the process, the tests for waste, the flow bottlenecks, the measures of variation and so on. How, therefore, does a process expert keep connected to the strategy? How does he or she avoid optimising a process only to find that there are unforeseen negative consequences for the larger organisation? The traditional answer to this question is “by focusing on the customer”. But, in my experience this is insufficient. First, it is the strategy that decides which customers to focus on and what value propositions to provide. So a good understanding of the strategy is necessary even to know whether the process work is focused on the right customer or the right service proposition. Second, a process is part of a broader operating model. Without an understanding of the broader operating model and the role the process is playing in this model, it is possible to optimise the process at the expense of some other part of the operating model. 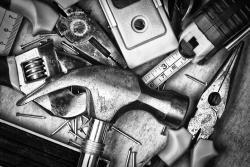 There are two tools that are particularly helpful to connect process experts with strategy – the Business Model Canvas and the Operating Model Canvas. 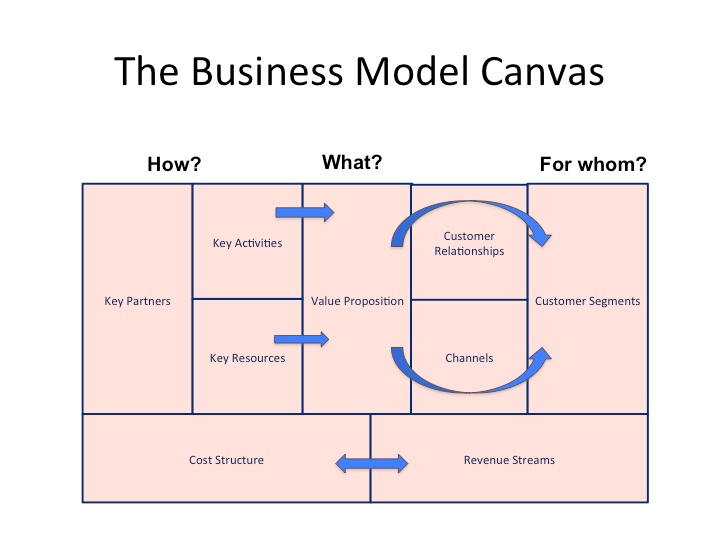 The Business Model Canvas is used to convert strategy into choices about target customer, channels, value propositions, and more (see exhibit). Developed by Alex Osterwalder and Yves Pigneur, more than 10 years ago, this tool is reasonably well known and used. Like the Business Model Canvas, the Operating Model Canvas is a tool that can be used by a team of managers to clarify what is important. Typically, they gather round a flip chart or white board and fill out the Canvas using post-it notes. The Canvas shows how different parts of the operating model link together: how processes link to organisation structure or how information and location link to processes. 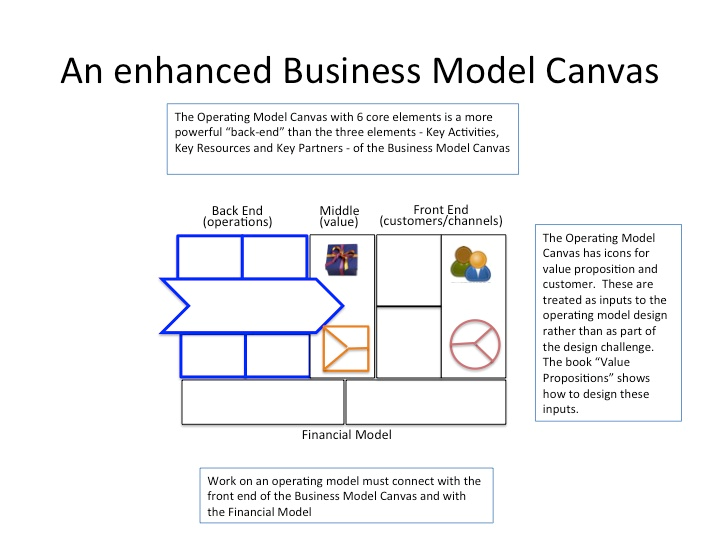 The Operating Model Canvas enables managers to focus on internal functions and departments and how they work together; whereas the Business Model Canvas is more focused on the customer and financial model. 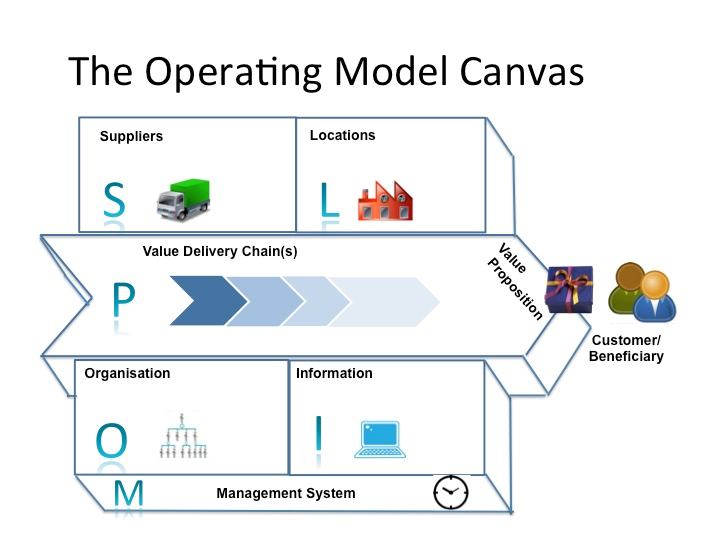 Any team of managers aiming to deliver something of value to a customer or beneficiary can use the Operating Model Canvas to layout out their high-level operating model. For this reason, the Operating Model Canvas is particularly useful for those working on detailed process improvements. A Canvas that addresses the broader operating model in which the process plays a role will help the process expert keep one eye on the strategy (at least the strategy for that part of the organisation) while working on the process. The process expert will be able to see where the chosen process fits into the whole. When developing an Operating Model Canvas, choose the part of the organisation that is most relevant to the chosen process. 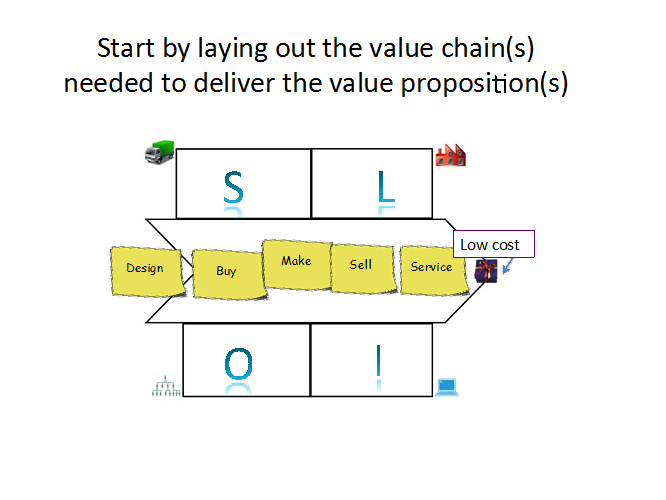 Identify the customer and value proposition for this part of the organisation, given the business model and the strategy for that part of the organisation. Then lay out the high-level process (normally referred to as the value delivery chain) that defines the main work steps. Limit the chain to 4-8 steps to keep the thinking at a high-level. 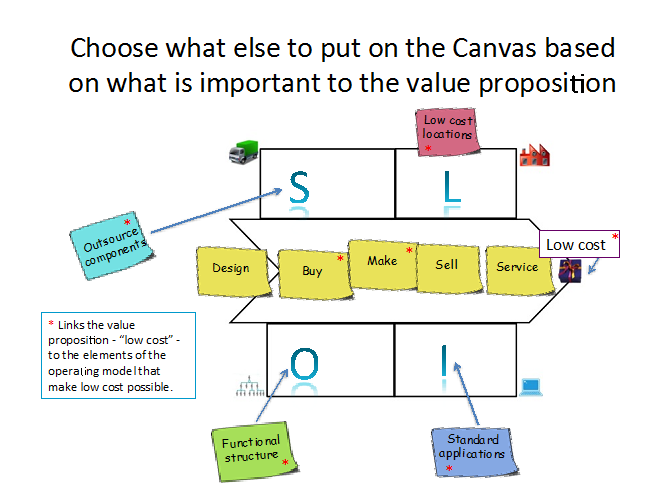 Then consider each of the other spaces on the canvas and define what, in the organisation, location, information, supplier or management system space, is important in helping deliver the value proposition (see exhibits). With this high-level view, often involving multiple post-it in each “box”, the process expert can understand how the process he or she is working on fits into the larger operating model. By converting strategy into a Business Model Canvas and then into an Operating Model Canvas, process experts can make sure that the work they do to optimize or redesign processes is aligned to the organisation’s strategy and to the other elements of the organisation’s operating model.